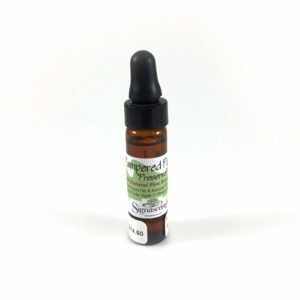 ORGANIC Pampered Paws Perfume. Cream form. Helps your pet smell fresh, safely. ORGANIC Pampered Paws Solid Perfume. All Natural Cream concentrated in Organic Vegetable Oils and many Essential Oils. 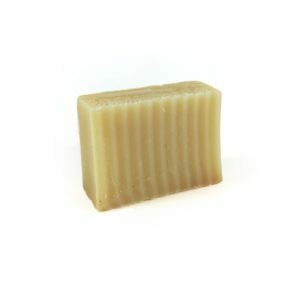 Includes Coconut oil, Palm oil, Jojoba oil, Argan oil (a carrier oil), unrefined Shea butter (straight from Ghana, Africa), soy, and Vitamin E. Helps your pet smell fresh, safely, with NO CHEMICALS. In convenient tin with net 2 oz. of cream. 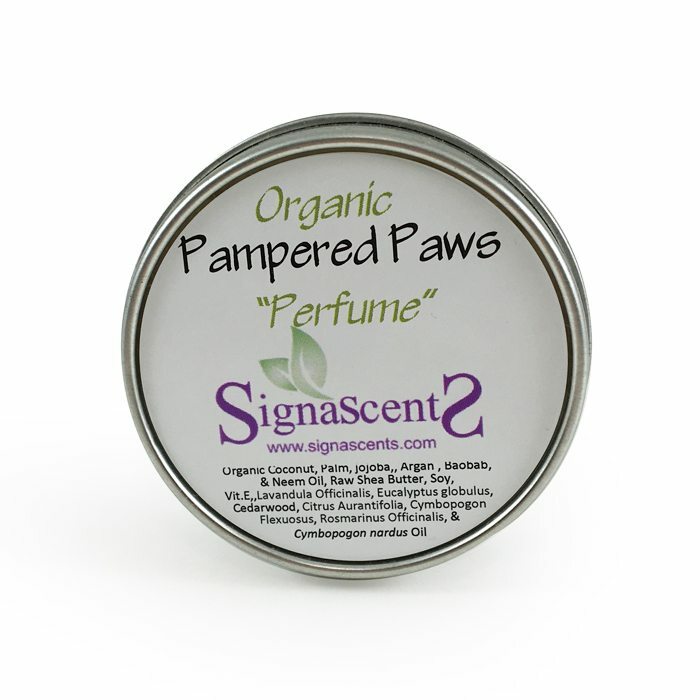 Use the Pampered Paws Perfume after Signa Scents’ Pampered Paws “Organic Soap.” Follow up with Pampered Paws “Preserve” to prevent fleas and ticks.